Briefly discuss about the main objectives of Air Traffic Services? Explain how these objectives affect the aircraft movements and ground movements. Ground control must notify local control when a departing aircraft has been taxied to a runway other than one previously designated as active. Ground control must notify local control of any aircraft taxied to an intersection for takeoff. This notification may be accomplished by verbal means or by flight progress strips. When the runways in use for landing/departing aircraft are not visible from the tower or the aircraft using them are not visible on radar, advise the local/ground controller of the aircraft’s location before releasing the aircraft to the other controller. When an aircraft starts its journey it first has to get permission to start its engines from a ground controller, then it will have to get permission to push back from its stand from another ground controller. 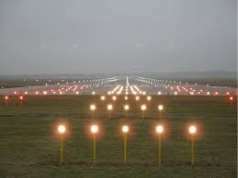 Prior to taxi-ing it will be given instructions to take a particular route to the active runway according to its parking gate position and any other aircraft which are using the same runway. This permission will be given by yet another ground controller. Before the aircraft is given clearance to take off it will have to speak to the controller whose sole job is to give permission to aircraft to take off or land. When airborne, the pilots will change to another frequency and speak to a departure controller who will give permission for the aircraft to climb to a higher altitude. Once clear of other departing and arriving traffic the aircraft will transfer to an airways controller who will give permission for the aircraft to climb to its cruising height. The crew have to ask for permission to leave its cruising height before descending towards its destination. As the aircraft approaches the destination airport, various controllers will be responsible for its safe passage until it lands and parks at its arrival gate. Analyse the physical appearance of the control tower and its contribution to achieve these objectives and explain about the communication failure procedures. This data is mentioned in (faa.gov,n.d) says In the past, Airport Traffic Control Tower (ATCT) siting decisions have been significantly influenced by the upper height limits imposed by terminal procedures (TERPS) and controller opinions. Because tower siting (height and location) affects airport safety and construction costs, the FAA had no means to measure quantitatively the improvement in air traffic controller visibility that can be gained by changing the tower height and location on the airport surface, and there was no required minimum criterion for tower height. Preflight -During preflight make sure that you have the correct frequencies with you: check the AIP, NOTAMs, approach and/or enroute charts. Preflight also means that you need to check communications availability for the airports and the route you plan to use. If not sure then a phone call with your destination will solve that problem, also ask if they accept NORDO (No Radio) aircraft. Garmin SL40 Aircraft Radio – Radio’s can become complex equipment when they are integrated into Garmin G1000 systems like EFIS. Standalone Icom, Bendix King or Apollo/Garmin radio’s are really easy to control. Having the pilots quick reference manual in your flight bag or with the aircraft documentation or manual can be a big help. It will save the day should you become confused about any function of the radio. ATC light gun -Some aviation charts depict them: ATC light gun signals. Make sure you know them by heart or carry a copy of their meaning with you. Practice these signals every once in a while. Frequency change -If contact can not be established after a frequency change, go back to the previous frequency or channel and verify with the controller that you have the correct frequency. This is first thing you must do in this case. Second radio -If you suspect that your radio has failed and you have a second one, set that frequency in the other radio and try again. When I fly an aircraft with multiple radio’s I plan to use all of them, and during a handover I set the next frequency into the other radio and use that one. This way I always have both radio’s checked and functional. Should I need to switch back, its done within a blink of an eye on the intercom panel. Squelch setting -A squelch is used to suppress the white noise when no station is transmitting, turn the knob clockwise until the noise just about disappears (on radio’s with an automatic squelch you need to pull or push the volume knob). Sometimes after switching and verifying that you have the correct frequency and that the radio is operating correctly it might be that you are just to far away (or flying too low) for the next station. Its signal strength is just too weak to open the squelch you will hear nothing. First thing I do is to open up the squelch manually (pull/push the volume knob) and listen to the noise/static and other aircraft and retransmit when able. Chances are that you hear them calling you just above the noise level. By the time you get closer, the signal strength will have improved enough so that you can use the squelch again. Radio Failure -It will not happen that often but radio’s can fail and having a second on standby will save the day. Should it happen, try pulling the fuse wait a couple of minutes and push it in again. This might reset the radio. Should this fail then and you have only one radio, set 7600 on the transponder and determine if you need to divert to an airport where NORAD aircraft are allowed. It is advisable to call ATC after landing to explain the situation. Altitude -VHF communications rely on antenna’s to be in line of sight of each other to be able to receive their signals. Should you not hear the other station then climb, if possible, a couple of thousand feet. This will improve the range in which you can contact stations.HF communications rely on radio wave propagation by the Earth’s Ionosphere and line of sight is not so much of an issue here. Relaying-At times you may find that other, possibly higher flying aircraft, are willing to relay your message to the ground station. Sometimes even without asking, because they can hear you and the ground station and its obvious to them that you can not reach or hear ATC. Aircraft Transponder – The transponder code for lost communications is 7600 in any mode (A/C/S). Setting this code will ring bells in ATC facilities and you will most definately get their attention! Again, make sure to explain the situation after landing. Diversion – If all else fails and your destination is a controlled airport where radio communications are mandatory, then by all means divert to an airport where you can land without a radio and have your radio checked by a radio shop before you continue on to your final destination. Overflying the signal area before entering the circuit/pattern is a wise decision at that time. Describe about the visual signals and their use, colours and effects of the markings. 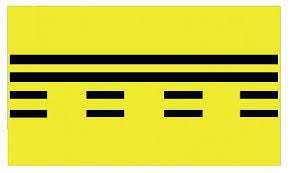 Also identify other markings in the manoeuvring area and their use. return to starting point on the airport. be aware that an emergency is in progress; continue with caution. be aware that an emergency is in progress; hold your position. 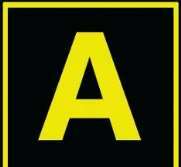 Runway markings are white(although yellow taxiway centrelines may lead on,lead off, or cross the runway). Markings on aprons and in ramp areas may include other colours(e.g. it is common to mark vehicle roadways in white). 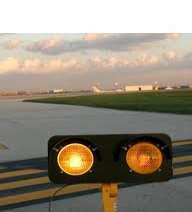 some of which are dashed—these are runway holding position markings. It is always permissible to cross from the dashed side to the solid side. ATC permission is always required to cross from the solid side to the dashed side at an aerodrome with an operating control tower. When instructed to ‘hold short’ always stop before the first solid line of the runway holding point marking as depicted below. Intermediate holding position markings show a holding position between taxiways. Youwill need to hold at these if ATC direct you to hold short of a particular taxiway. 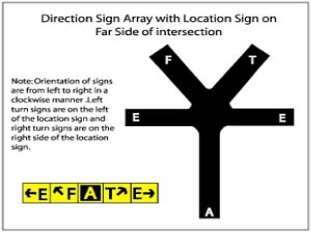 Sign arrays:Grouping of direction signs. Signs are orientated clockwise from left to right. Left turn signs are on the left of the location sign and right turn signs are on the right of the location sign. This information is supported by (faa.gov,2014) sat the FAA’s air traffic controllers ensure the safe and efficient flight for about two million aviation passengers per day – or almost one billion people per year. Air traffic controllers safely manage more than 60 million aircraft annually to their destinations. Air Traffic Control Tower Controllers Work in the glassed-in towers you see at airports. They manage traffic from the airport to a radius of 3 to 30 miles out. They give pilots taxiing and take off instructions, air traffic clearance, and advice based on their own observations and experience. They provide separation between landing and departing aircraft, transfer control of aircraft to the en route center controllers when the aircraft leave their airspace, and receive control of aircraft on flights coming into their airspace. "Aircraft Performance and Aviation Management." UKEssays.com. 11 2018. All Answers Ltd. 04 2019 <https://www.ukessays.com/essays/aviation/aircraft-performance-and-aviation.php?vref=1>. "Aircraft Performance and Aviation Management." All Answers Ltd. ukessays.com, November 2018. Web. 20 April 2019. 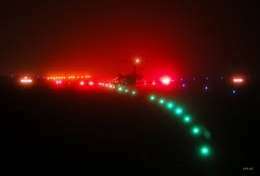 <https://www.ukessays.com/essays/aviation/aircraft-performance-and-aviation.php?vref=1>. UKEssays. November 2018. Aircraft Performance and Aviation Management. [online]. Available from: https://www.ukessays.com/essays/aviation/aircraft-performance-and-aviation.php?vref=1 [Accessed 20 April 2019]. UKEssays. Aircraft Performance and Aviation Management [Internet]. November 2018. [Accessed 20 April 2019]; Available from: https://www.ukessays.com/essays/aviation/aircraft-performance-and-aviation.php?vref=1.